To Order Via GrubHub, Click Here! To Order Via DoorDash, Click Here! Gourmet cupcakes, cupcake-infused ice cream, and decadent treats…. 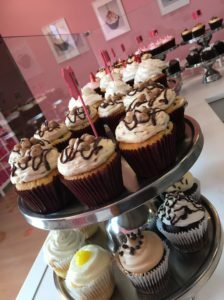 A cupcakery featured on Food Network’s Cupcake Wars, The View & More! Our mission is to use creative flavors, quality ingredients, and friendly service to provide the finest cupcake and ice cream experiences worthy of returning and recommending.